Pet Vaccination involves giving a killed or weakened strain of a particular organism to your pet in order to stimulate an immune response. This will help to protect your pet against diseases that the organism produces. Vaccinations are usually administered as a subcutaneous injection (via needle under the skin) or intra-nasally (squirted up the nose). At the same, your pet will also receive a thorough health check. Will My Pet Have Any Side Effects From Vaccination? All medications have the potential to produce side effects. However, side effects from vaccination are generally self-limiting and milder than the diseases that they are providing protection against. The benefits of vaccination for most animals outweigh the potential risks. Rarer side effects include anaphylaxis, allergic reactions and the triggering of immune-mediated conditions. Please let us know if your pet experiences any side effects after vaccination. We recommend routine annual vaccination for all dogs against Distemper, Hepatitis, Parvovirus, Bordetella and Parainfluenza. This is known as a C5 vaccination. Your puppy is not considered fully protected until 2 weeks after their final vaccination so it is advisable to keep them away from high-risk situations and public areas until after this age. Parvovirus is a highly contagious, often fatal viral infection that causes severe dehydration, vomiting and bloody diarrhoea. The virus is transmitted in the faeces of other dogs and can survive for long periods in the environment. Distemper is a progressive and often fatal viral infection that causes fever, anorexia, nasal and ocular discharge, coughing, difficulty breathing, vomiting and diarrhoea. This then progresses to neurological signs such as seizures, tremors, incoordination and weakness. Infectious hepatitis is a viral infection caused by Canine Adenovirus, which affects the liver and causes a range of symptoms including inappetence and vomiting. Parainfluenza Virus and Bordetella Bronchiseptica are two of the organisms that most commonly cause highly contagious ‘Canine Cough’ (AKA Canine Tracheitis or Kennel Cough). This disease results in a harsh hacking cough, which can be quite uncomfortable and often sounds like the dog is choking or vomiting. The disease usually self-resolves within 2 weeks. However, in young dogs or dogs with underlying lung or airway disease the effects can be more severe. Additionally, due to the highly contagious nature of the disease, vaccination is usually a requirement of all boarding kennels prior to boarding. As the disease has airborne transmission, even dogs that are confined to their yards can catch it. Vaccination will not prevent the disease, but symptoms will generally be much milder if the disease is contracted. We recommend routine annual vaccination for all cats against Feline Herpesvirus, Feline Calicivirus and Feline Enteritis. This is known as an F3 vaccination. Your kitten is not considered fully protected until 2 weeks after their final vaccination so it is advisable to keep them away from high-risk situations until after this age. FIV Vaccination – recommended for all outdoor cats.  FeLV Vaccination – only recommended when at high risk of exposure. Chlamydia Vaccination – only recommended when at high risk of exposure. Talk to your veterinarian to discuss which vaccinations are most appropriate for your cat. Feline Upper Respiratory Tract Infection (“Cat Flu”) is a very common, highly infectious disease that can cause sneezing, nasal discharge, conjunctivitis, fever, inappetence and, in severe cases, mouth and eye ulcers. The disease can be fatal in some cases, particularly in very young, geriatric or immune-compromised cats. Symptoms are usually caused by infection with Feline Herpesvirus and/or Feline Calicivirus. Feline Herpes Virus (AKA Rhinotracheitis Virus) symptoms may persist for several weeks and once infected, your cat will remain a carrier for the rest of its life. In periods of high stress (such as during cattery visits or illness), symptoms can re-present and the disease can spread easily to other cats. In some cases, the disease may result in corneal ulcers or long-term damage to the lining of the nasal cavity, leading to chronic ‘snuffling’. Feline Calicivirus can cause painful mouth ulcers and kittens may also develop pneumonia and arthritis. Feline Enteritis Virus (AKA Panleukopaenia or Parvovirus) is an extremely contagious, frequently fatal disease. The virus can survive for long periods in the environment and can cause a range of symptoms including lethargy, fever, vomiting, and bloody diarrhoea. Feline Immunodeficiency Virus (AKA Feline Aids) is transmitted in the saliva, commonly through biting. It causes immune suppression and once infected, the virus persists in their system for life. The disease is not transmissible to humans. The best prevention is housing your cat indoors and testing all new cats before entry. It is recommended that all outdoor cats be vaccinated against FIV. Cats may also be infected and show no clinical signs. Cats usually remain infected for life, leading to a progressive deterioration over time. This disease cannot be transmitted to humans. It has a low incidence in Australia (around 2.5%) and vaccination is recommended only for cats at high risk of exposure. Feline Chlamydia is a bacterial infection that causes conjunctivitis and generally occurs in young cats housed in large groups (eg. catteries). It can be treated with antibiotics. Vaccination is only recommended for cats at high risk of exposure. We recommend annual vaccination of all rabbits against Calicivirus. Your rabbit will also receive a health check to ensure they remain healthy. Hutches should be mosquito-proofed to help avoid contracting Calicivirus as well as the fatal disease, Myxomatosis. We recommend annual vaccination of all ferrets against Canine Distemper Virus, a potentially fatal disease to which they are susceptible. At the same time, a health check will be performed to ensure your ferret remains healthy.